As well as visiting your dentist regularly ensure you keep your teeth and gums in great condition by following Wisdom’s simple 3 step guide to better oral health. The three step routine to Healthy Teeth. For Life. Your teeth aren’t really clean unless you clean between! This is the area most normal toothbrushes cannot reach and is a haven for plaque bacteria. 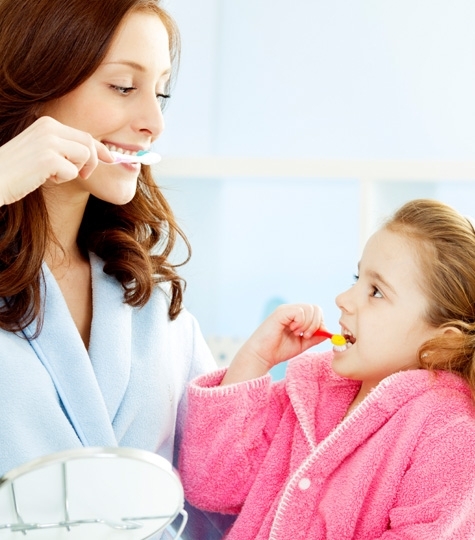 If it is not removed it can lead to tooth decay and gum disease. First loosen and remove dental plaque and food debris from between the teeth using floss or an interdental brush before brushing. Everyone’s mouth is different make sure you choose the correct product for you. Use a floss or a tape for smaller spaces or an interdental brush for larger gaps. Good brushing with a quality toothbrush and a non abrasive fluoride toothpaste is the foundation of a good oral health routine. By removing plaque regularly you can help yourself to avoid bad breath, gum disease and tooth decay. 2 minutes brushing twice a day is the recommended brushing time to deliver an effective clean. Flossing and brushing are the most effective ways to remove harmful plaque from the teeth and gums, but a good quality mouthwash should be used as the last step in your oral care regime to remove the remaining plaque from between the teeth. As well as providing fluoride and an antibacterial action It also provides a pleasant fresh taste and clean mouth feeling. Some mouthwashes can deliver a very strong flavour and burning/drying sensation after use, if you would like a more gentle experience then choose an alcohol free mouthwash.